Jet Set Smart: FUN FOR THE KIDS! On the weekends, we always love to find fun things to do with the boys! There's really nothing better we like to do than to see the expressions on the boys' faces when they are enjoying something new and different! 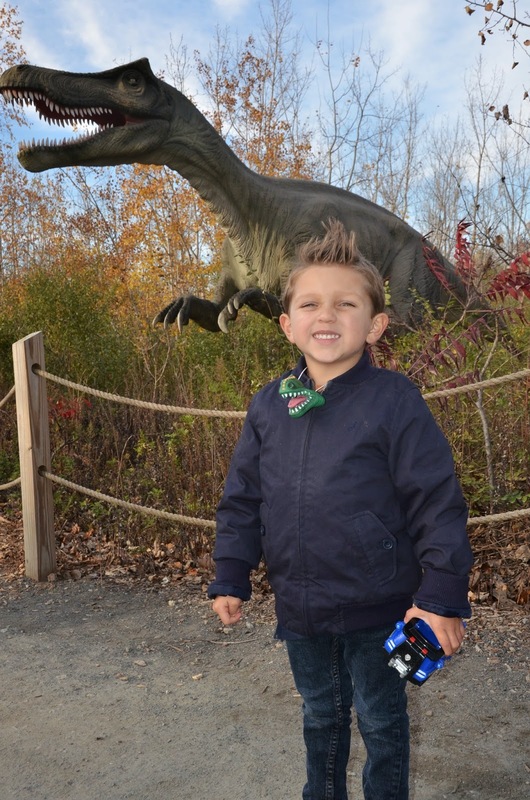 Last weekend, we checked out Field Station Dinosaurs in Secaucus, New Jersey. We went there once before (two years ago when Richie was Brody's age, and I was pregnant with Brody), so it was awesome to go back with both boys this time. It really is a great exhibit! There are life-size dinosaurs which move and growl and are set in an outdoor exhibit to mimic what life was like back when the dinosaurs roamed the earth. We had a blast checking out T-Rex and all off the other types of dinosaurs. 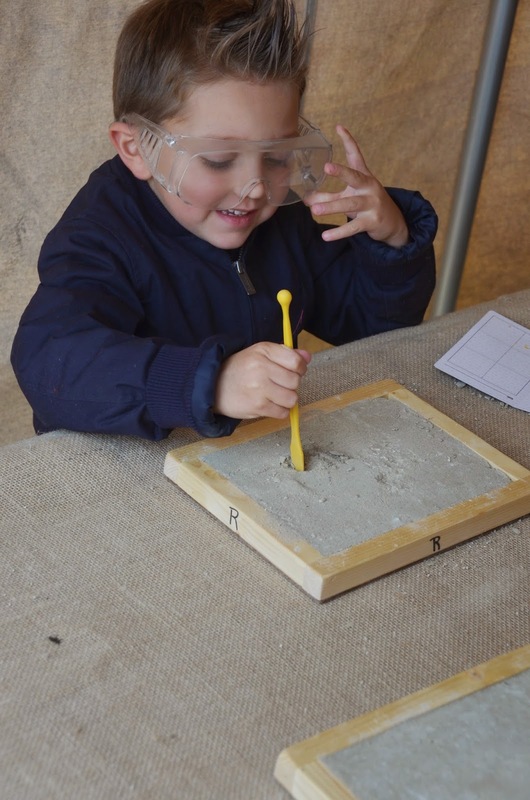 They also have other fun activities like shows, dancing for kids, digging for fossils, and more! We went on the last day the exhibit was open this year (it closes for the winter), but we plan to go back next year too. Sadly, we found out next year is the last year for Field Station Dinosaurs in Secaucus (supposedly the contract is up with the city and the city doesn't want to renew it because it wants to use the land for something else :-(. I've heard that after next year the exhibit is going to be moved to Washington D.C. This past weekend, we headed to Staten Island to play at the Children's Museum. My girlfriend and I were planning a get together so I could meet her new baby girl, and I figured it was a good spot because it was an equal drive for both of us, and at least we would be indoors enjoying something fun for the kids to do on a very cold day. I have to say, I was super impressed with the museum! They have everything from a real life fire truck that the kids could go on, to giant size games of chess, checkers and bowling, to construction exhibits, insects, and a whole lot more! The entrance fee was only $6 per person and so worth it! We definitely will go back there again. 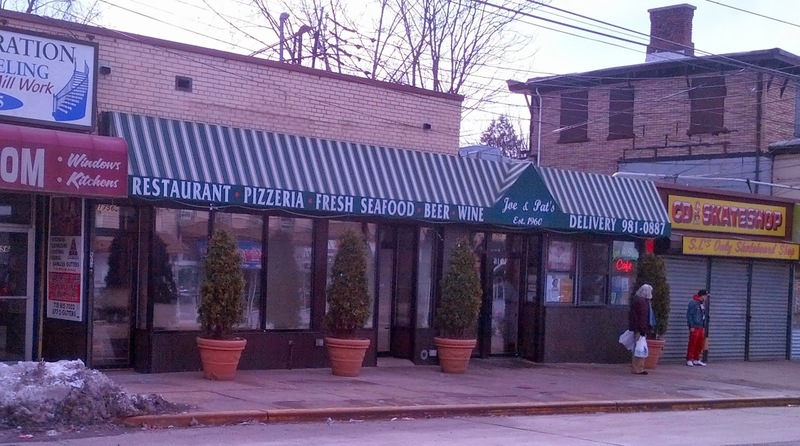 Afterwards, we headed to Joe & Pat's, voted one of the ten best pizza places in the city, and boy was it good! We tried the Royal which has pepperoni, sausage and peppers, and we also had a margherita, and both were thin crust and oh so delicious! I never have really spent too much time on Staten Island, but I will be back to both of these places in the near future for sure!